Rula Jebreal discusses her last interview with murdered Saudi journalist, Jamal Khashoggi. Khashoggi fled Saudi Arabia in September 2017 and went into self-imposed exile. He said that the Saudi Arabian government had "banned him from Twitter", and he later wrote newspaper articles critical of the Saudi government. Khashoggi had been sharply critical of Saudi Arabia's crown prince, Mohammad bin Salman, and the country's king, Salman of Saudi Arabia. He also opposed the Saudi Arabian-led intervention in Yemen. Khashoggi entered the Saudi Arabian consulate in Istanbul on 2 October 2018, but did not leave the building. Amid news reports claiming that he had been killed and dismembered inside, an inspection of the consulate, by Saudi Arabian and Turkish officials, took place on 15 October. Initially, the Saudi Arabian government denied the death, claiming Khashoggi had left the consulate alive, but on 20 October admitted that Khashoggi was killed inside the consulate, claiming he had been strangled to death after a fight had broken out. This was later contradicted when, on 25 October, Saudi Arabia's attorney general stated that the murder was premeditated. On 16 November 2018, The Washington Post and other news media reported that the CIA had concluded Saudi Crown Prince Mohammed bin Salman ordered Khashoggi's assassination. On 20 November, this conclusion was disputed by U.S. President Donald Trump, who stated that the investigation had to continue. Two days later Trump again said that the investigation did not conclude that Saudi Crown Prince Mohammed bin Salman ordered the killing. On 4 December, senior senators from both the Republican Party and the Democratic Party publicly contradicted Trump's equivocation. On 11 December 2018, Jamal Khashoggi was named Time Magazine's person of the year for his work in journalism along with other journalists who faced political persecution for their work. 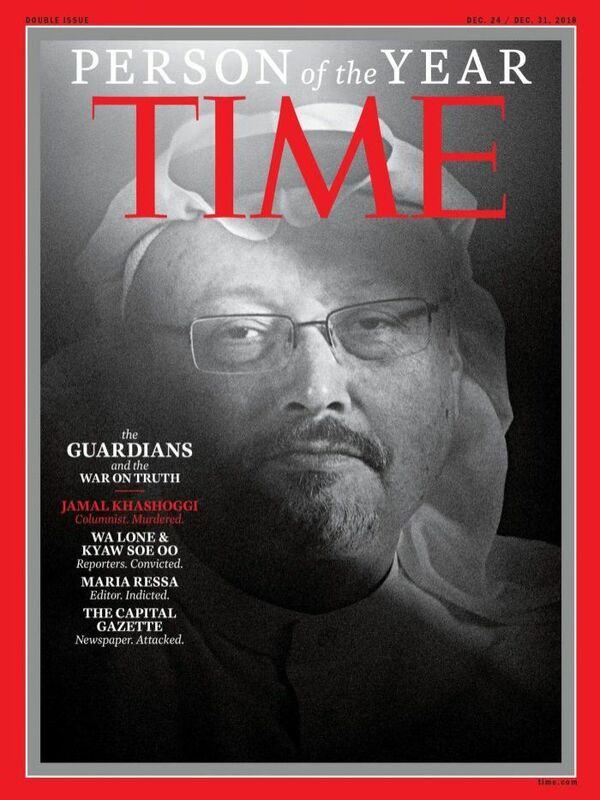 Time Magazine referred to Khashoggi as a "Guardian of the Truth".